Welcome to May and Monday! Wishing you a slow-paced week ahead! Take time to enjoy what is around you! 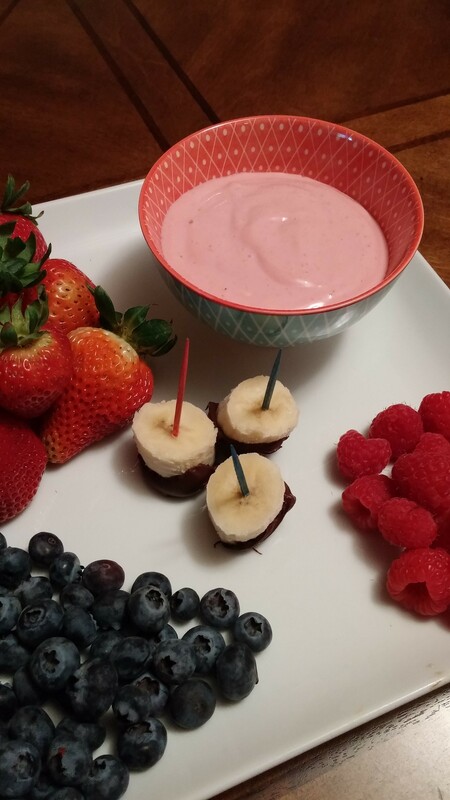 I recently saw a recipe for a fruit dip/dressing. It sounded delicious but I wanted to lighten it up a bit. This is my version! I served it with several kinds of fruit. One of the new snacks I am making is frozen banana bites dipped in chocolate. I served them with this dip and it was so good! You simple peel a banana, cut into 1 to 2 inch pieces and place a toothpick in each piece. Freeze the bananas until ready. 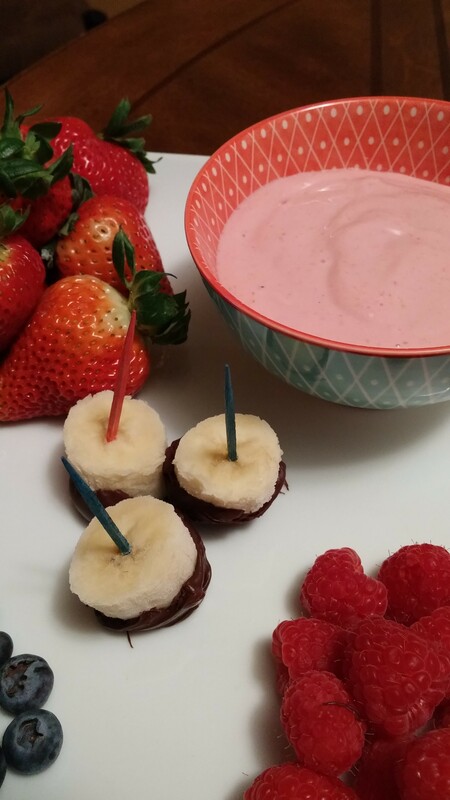 Before serving dip them in melted chocolate and place on your serving plate with the other fruits! ENJOY! 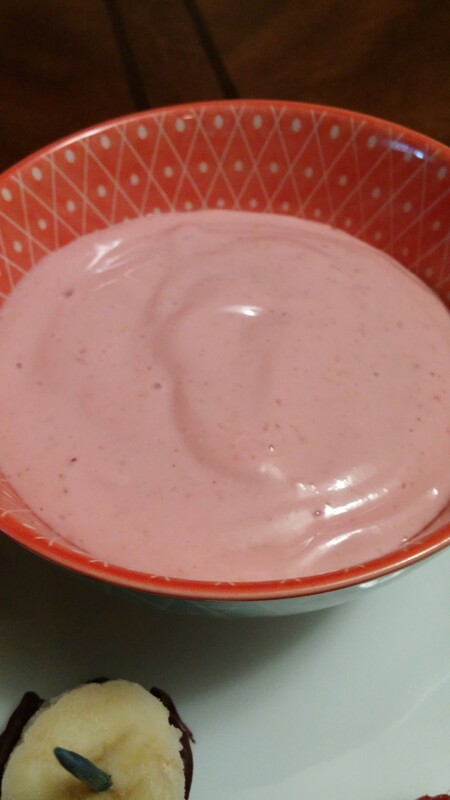 Combine 1/2 cup cottage cheese, 1/2 cup halved strawberries and 1 TBSP of Smuckers Natural Strawberry Fruit Spread. Blend until smooth, store in the refrigerator until ready to serve. Serve with cut up fruit. MMM Good!